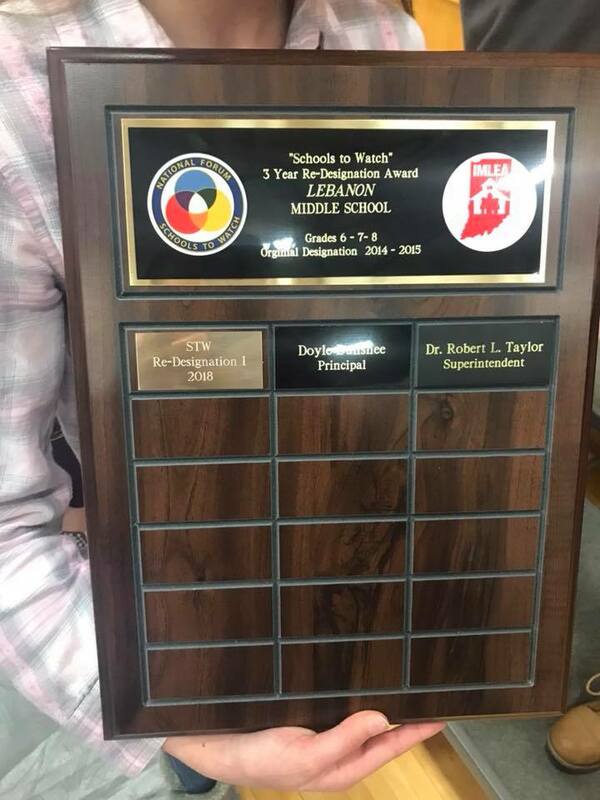 Lebanon Middle School has been highlighted as “A School to Watch” for high performance in academics, developmental programming, and social equity. The award was presented by Shirley Wright, Executive Director of the Indiana Middle Level Education Association. Wright acknowledged the hard work of the staff and students. She then presented LMS with a revolving calendar plaque, encouraging them to continue their quest for greatness. This is the second time LMS has been named A School to Watch, with designation through 2021. LMS is one of only 14 schools in the state of Indiana to receive this honor. Way to go Lebanon Middle School!